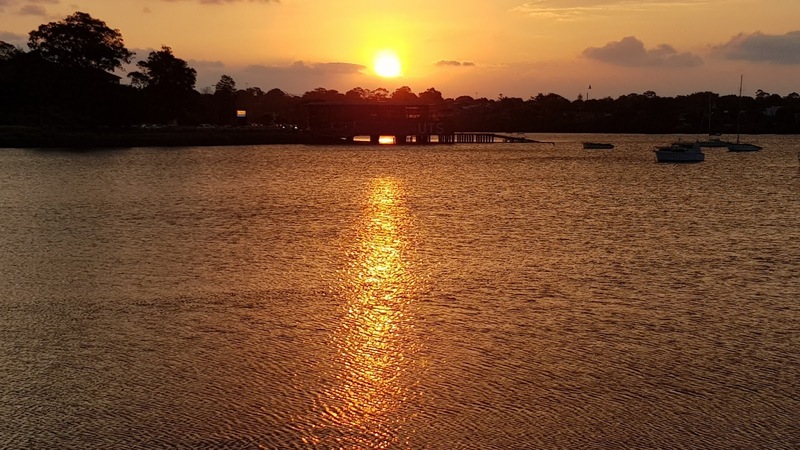 This sunset view across Iron Cove towards Haberfield and Rodd Point is from the inner west suburb of Lilyfield. The sun is dropping behind the UTS Haberfield Rowing Club. The golden light is beautiful. Great capture! Gorgeous golden sky and reflection. Happy Friday, enjoy your day and weekend! What a beautiful sunset with the glittering water in front. Awesome sky shot! love the golden colors! A sunset spreading across water...there is nothing so beautiful!